WESLACO — Regional officials are cautioning Valley residents not to become complacent about early preparations for Census 2020, but rather be prepared for a determined effort over the next two years. Ron Garza, executive director of the Lower Rio Grande Valley Development Council, told the board here Wednesday a regional task force met in December and a census workshop was held this month. “Somebody used a word in one of those meetings that I want to highlight, and it’s ‘fatigued,’ that some of the stakeholders are a little fatigued of already talking about it,” Garza said. “We kind of joked about it, but I just really want to highlight the upcoming Census 2020 is the most important thing that we will be doing as a region. “Everybody just needs to build stamina because we need to continually talk about this so that we continue to get the right message,” he added. Rio Grande Valley leaders have long complained the region has been historically undercounted by the U.S. Census Bureau each time the decennial count has been conducted. While there are no firm numbers to back up the claim, lawyers challenging the 2010 Census for Hidalgo County said it was somewhere between 3 percent and 9 percent there. Analysts estimate each person counted means $1,500 per year in federal funding for the city and county where they reside. If so, the stakes in the Valley alone could run into the hundreds of millions of dollars to be spent over the next 10 years. Garza said preparations for Census 2020 slowed during the partial government shutdown, but stressed the Census Bureau continues to work to fill numerous job openings Valley-wide. “Even in the midst of the shutdown, it’s a little bit different, but during the shutdown they were still processing the hiring, (and) the census jobs are really needed,” he added. “Our website serves as a census link and serves as a resource for all the census jobs. “Some of those are high-paying jobs,” he added. 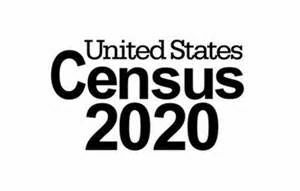 When a board member voiced a concern that she had heard Willacy and Cameron County residents have lagged in applying for census jobs, Garza noted the Census Bureau has established an office in McAllen and is seeking to fill positions there. The estimated population of the Rio Grande Valley as of 2017 is 1.4 million, which is about 120,000 people more than counted in Census 2010.